SUPERIOR TONE. SUPERIOR COMFORT. SUPERIOR QUALITY. 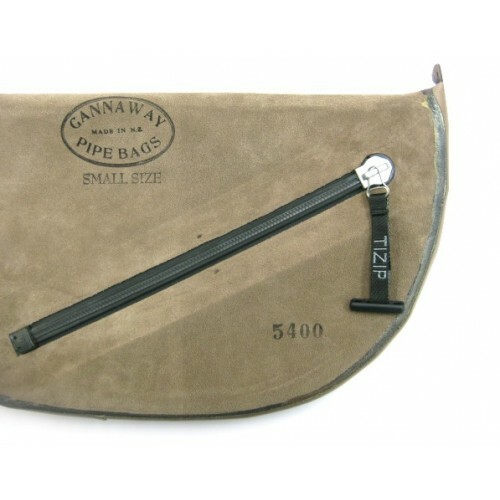 The famous Gannaway hide bag with angled zipper, played by many of the best bands and pipers worldwide. 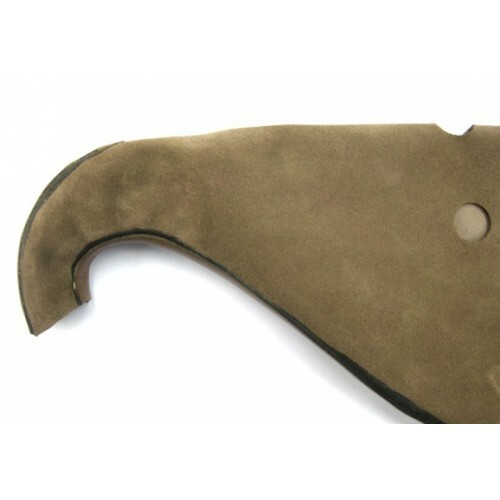 Comfortable angled zipper enables internal access for maintenance, easy dressing, and the use of moisture control systems, water traps, etc. Available in Small (26" x 9 3/4"), Extended Small (28" x 9 3/4"), Medium (26" x 10 1/2"), Extended Medium (28" x 10 1/2") and Large (27 1/2" x 11 1/2") sizes. 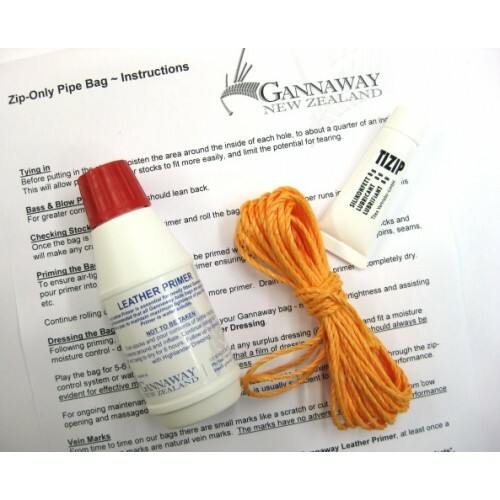 Includes full instructions, tying-in string, zip-lube, and Gannaway Leather Primer. 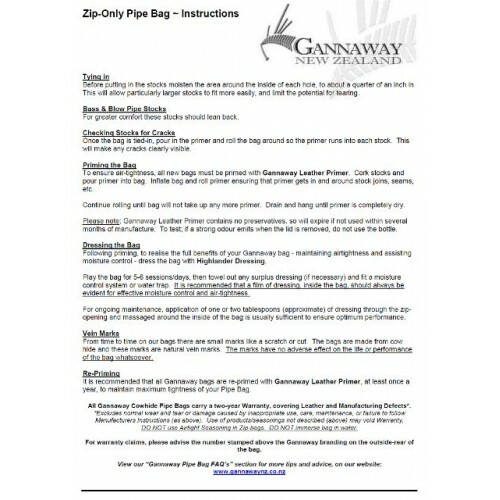 Want a Gannaway Zip-only Bag but you're unable to tie in drone stocks? 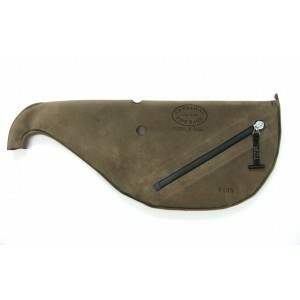 Send us your stocks and we can tie the bag in for you! E-mail us for details. 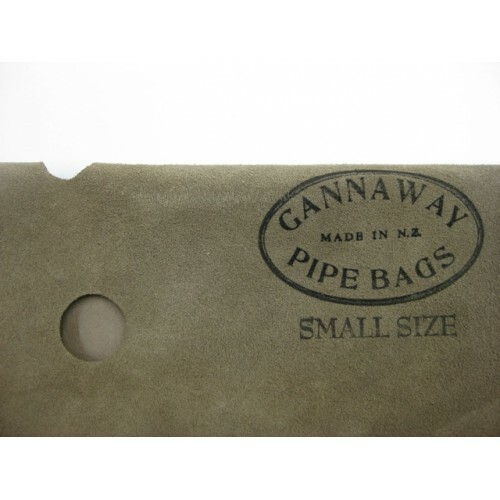 View our Gannaway Pipe Bag FAQ section.